I love my Parka Jacket and so does my sister because she’s always “borrowing” it from me. AKA, holding on to it all winter. If you live in a state where the weather is always unpredictable, like Florida, then this jacket is perfect. I recently purchased a teddy cardigan and I’ve been wearing it nonstop. It’s perfect for that “basic” Fall/Winter outfit, like a pair of jeans or legging, a tee, and boots. If you live in a cold state or you just want to be fashionable, then you need a long coat. 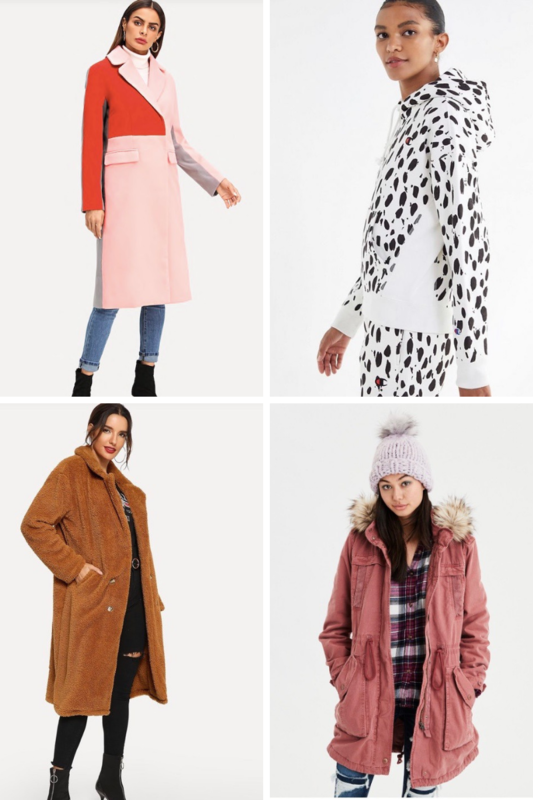 Your coat doesn’t have to be boring, here are some cute coats that will keep you warm. I love hoodies! You can layer and style one in so many ways. And they are great for rain… they have a built-in hat lol. That pink and red coat is beautiful. And I can’t believe the price!!! Your site looks great! I love that one! And thank you so much!